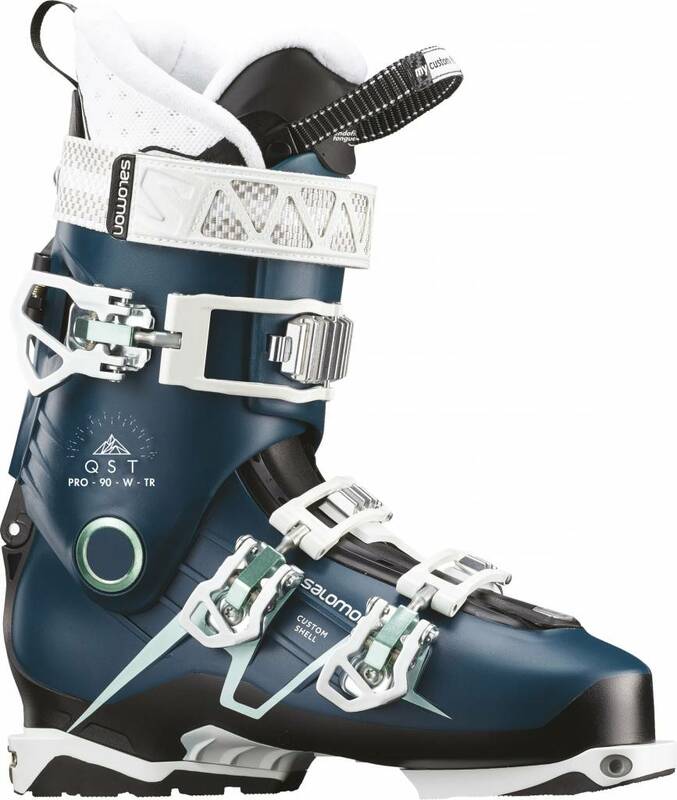 The QST PRO 90 TR W is Salomon's 100mm lasted ladies Touring boot with full pin fixings, suiting the reasonably powerful lady skier with an average to slightly wide foot. 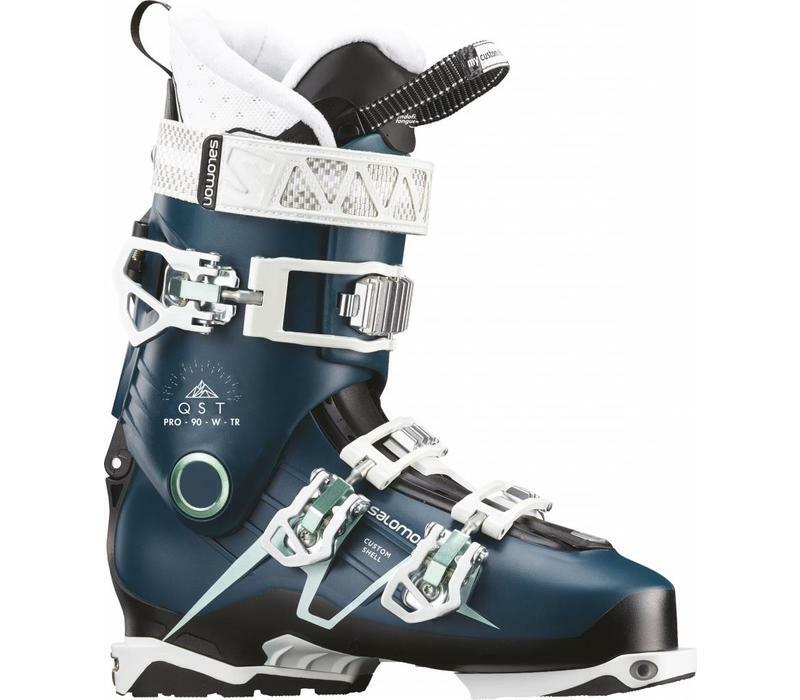 A nice, simple touring Boot with good looks and a high level of performance in an accommodating last shape. These definitely suit the lady with an average to slightly wide foot and with a reasonable height requirement over the instep.